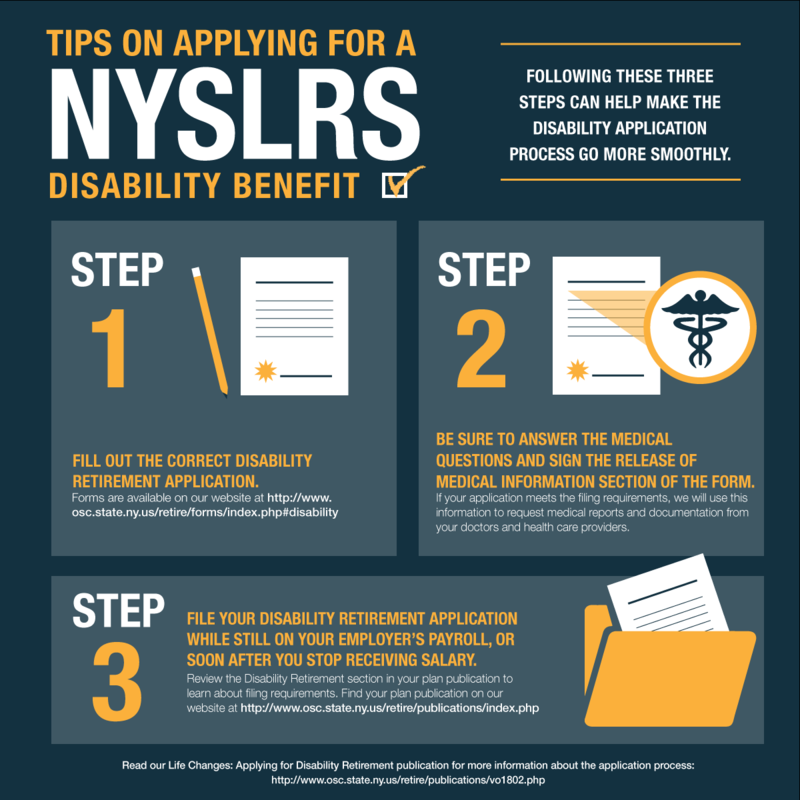 It may never come up, but, you should know what would happen with your NYSLRS membership and benefits if you ever leave public employment. Even if you no longer work for a New York public employer, you’d still be a NYSLRS member. 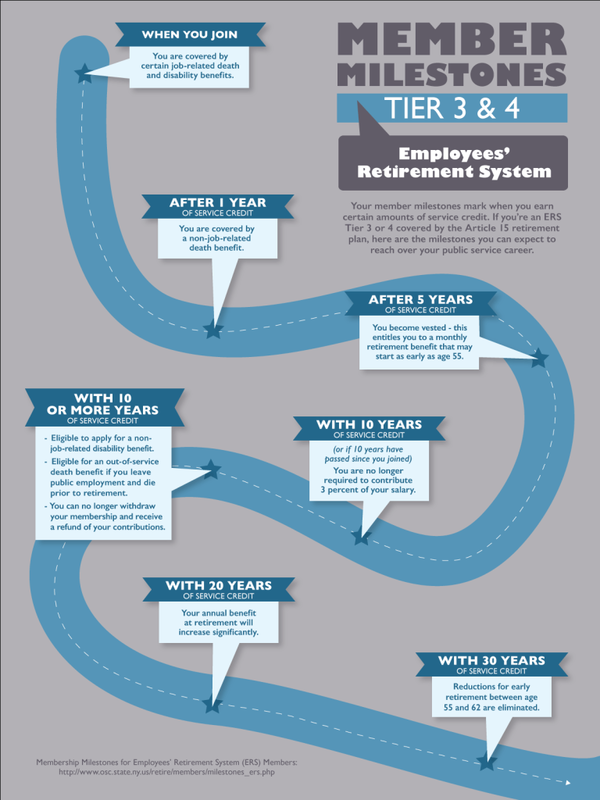 Depending on your circumstances, that membership may come with certain benefits and responsibilities. What Happens to My Contributions If I Leave Public Employment? If you have less than ten years of service credit, you can end your membership and request a refund of your contributions by filing a Withdrawal Application (RS5014). 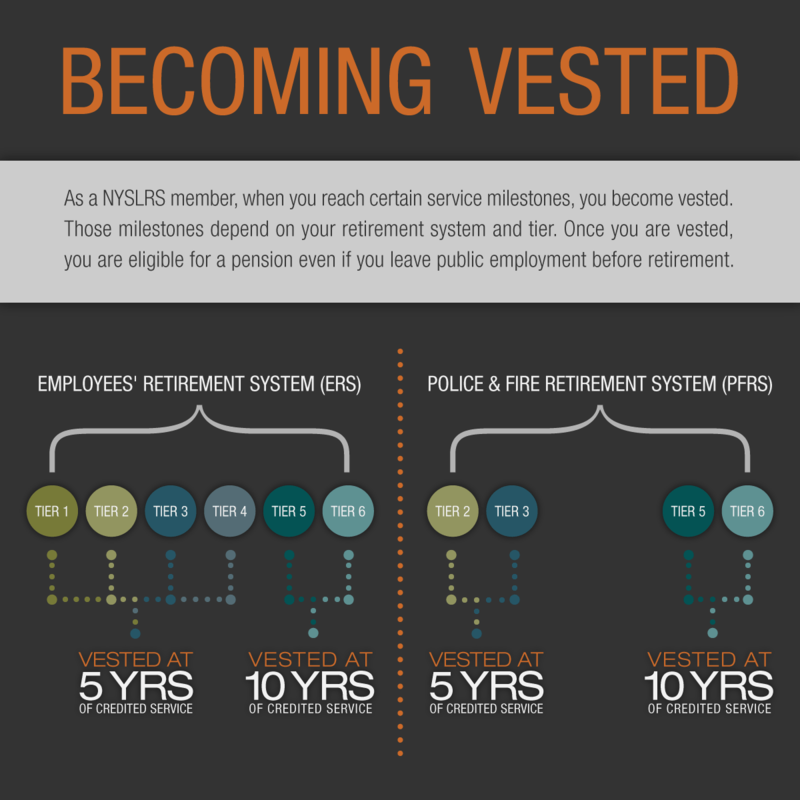 If you are vested, your contributions will remain on deposit with NYSLRS, and when you reach retirement age, you’ll be eligible to apply for a retirement benefit. How Will Leaving Public Employment Affect My Death Benefits? If you have at least ten years of service credit before you leave, 50 percent of your death benefit may still be payable when you die. 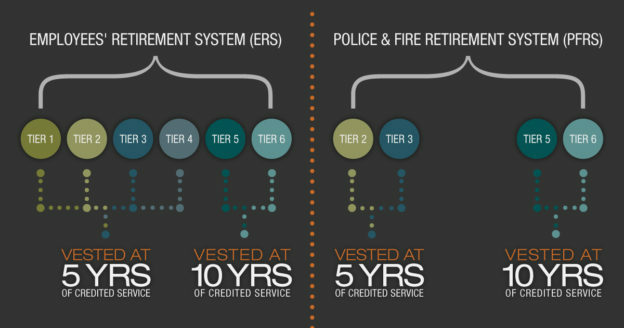 With less than ten years of service credit, the 50 percent death benefit is only payable if you die within one year of leaving public service. How Can I Pay Back My Outstanding Loans? If you have an outstanding NYSLRS loan, you must still make payments directly to NYSLRS at least once every three months. 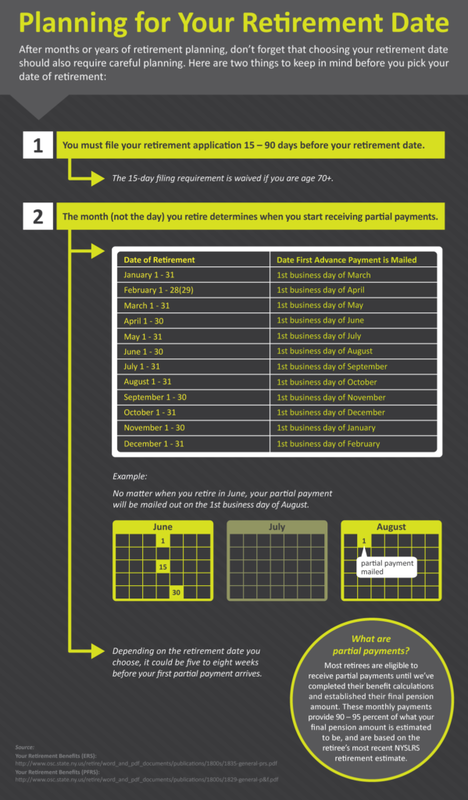 You must repay your loan within five years of the date it was issued, or you will default on the loan. Defaulting on a loan may carry considerable tax consequences: You’ll need to pay ordinary income tax and possibly an additional 10 percent penalty on the taxable portion of the loan. 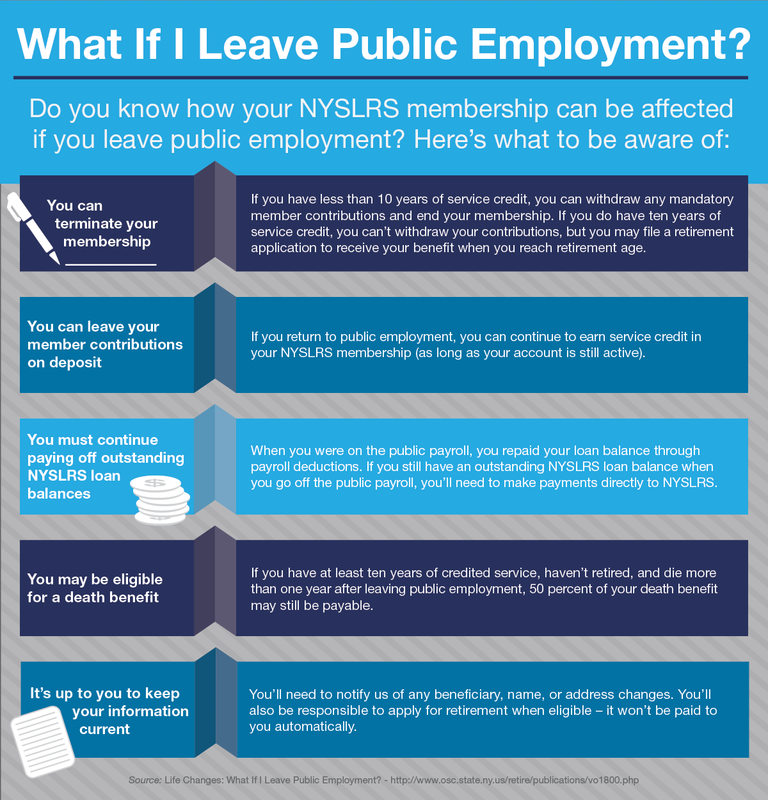 Once you’ve left public employment, you aren’t eligible to take a NYSLRS loan. How Can I Stay Informed About My Membership If I Leave Public Employment? Be able to meet with an information representative at any of our consultation sites. Let us know about any name or address changes (for either you or your beneficiaries). 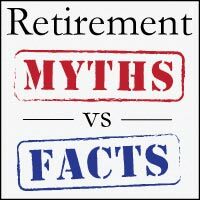 Finally, it’s your responsibility to file an Application for Service Retirement (RS6037) when you are eligible to retire — we will not pay out a retirement benefit unless you apply for it. For more information, read our Life Changes: What if I Leave Public Employment? (VO1800) publication. Content last revised September 6, 2017. 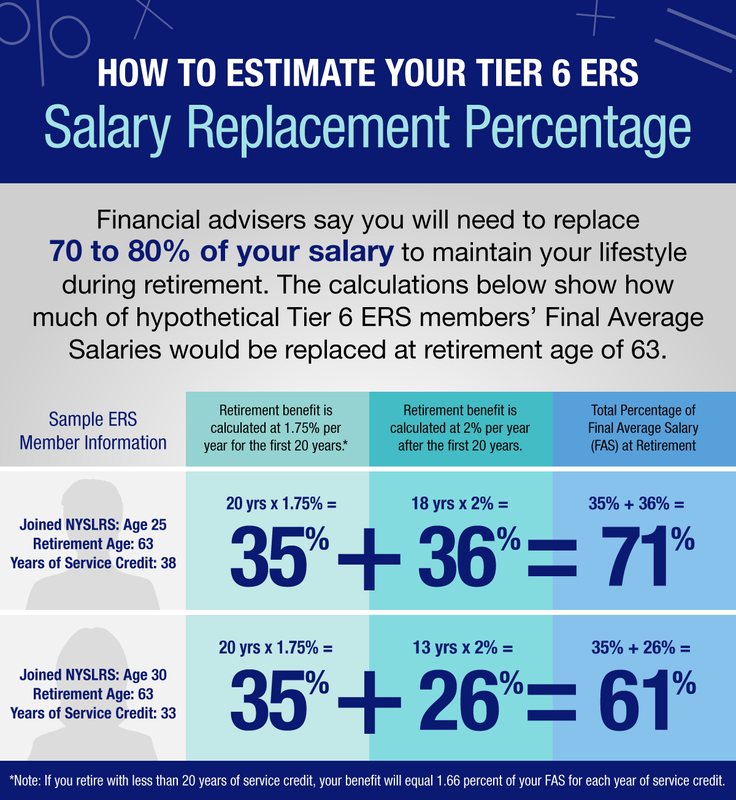 This entry was posted in General News, Members and tagged consultation sites, ERS, estimate, Information is the Key, know your benefits, leave public employment, Loans, Member Annual Statement, member contributions, member milestones, members, New Members, New York State & Local Retirement System, NYSLRS, PFRS, retirement, sick leave credit, Vested, withdraw, Withdrawl applications on September 6, 2017 by NYSLRS.